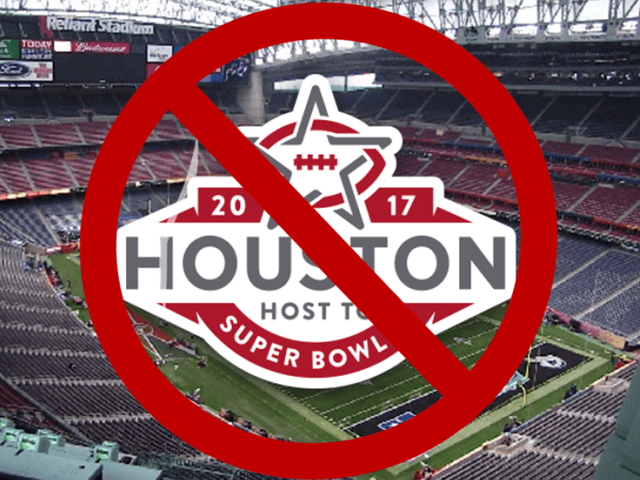 HOUSTON, Texas – Losers in the Houston “bathroom ordinance” election are saying they are going to boycott Houston’s economy and are asking the NFL to move the Super Bowl. Houston has been named as the site of the 2017 Super Bowl. Whiners and those trolling them on Twitter with #BoycottHouston, were prolific on the day after the defeat of the bathroom ordinance. A Change.org petition was initiated to call upon the NFL to boycott. Sites like RAWSTORY, also criticized the methods used by opponents of the ordinance and reported that sites such as Outsports were asking the NFL to move the 2017 Super Bowl. Proposition 1, the ordinance proposition which was soundly beaten in the Houston election, would have allowed men who are transgendered, or “identify as a woman,” to use women’s bathroom and shower facilities. As reported by Breitbart Texas, voters of Houston rejected Mayor Annise Parker’s ordinance proposal that would have allowed men to enter women’s bathrooms, showers and changing areas based on gender identification. The HERO (Houston Equal Rights Ordinance) proposition was rejected by a vote of 61 to 39 percent with 95 percent of the ballots counted. Parker is Houston’s first openly gay mayor. Those upset by the defeat of Proposition 1 took to Twitter after the election. Another tweeted, “Bigotry has consequences. @NFL, move 2017 Super Bowl. #HERO #BoycottHouston” and attached the Outsports article. 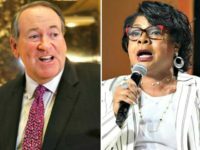 A coalition that represents hundreds of pastors who opposed Houston Mayor Parker’s pro-LGBT ordinance, are calling the resounding defeat of the ordinance a “national victory” and the local defeat of a national Leftist LGBT agenda, as reported by Breitbart Texas.